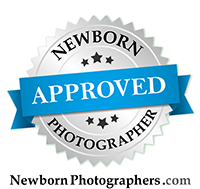 This little one did such a great job during her newborn session! Proud big brother came in as well, and we did the shots with him and the family in the first 20 minutes, then went on to focus on Naomi. She was one of the most smiley newborns ever! And her little dimple - so sweet! Thank you for trusting me to capture this fleeting time in life for you!